Your parcel has a long journey ahead. Make sure it arrives in one piece! These postal carrier-approved tips will help your parcel survive any bumps, scrapes and falls that could happen along the way. There’s a reason why corrugated cardboard boxes are the go-to container for parcel shipping: they’re inexpensive, eco-friendly, stackable, and surprisingly strong. Made from double or triple-walled corrugated cardboard. Dry, and never exposed to excess moisture. New or ‘like-new’ quality (see the next section on re-using old boxes). Suitable for the dimensions of the item(s), with enough room for packing material. Be cautious of the weight limit printed on the outside of a carboard box. That label is usually applicable to freight shipping using pallets, not small parcel deliveries. Do not use it as guidance for your parcel. To see how much weight a cardboard box can hold, check the manufacturer’s stamp inside the box. This chart will help you decipher it. Can You Re-Use Old Cardboard Boxes for Shipping? Have an old box that’s just the right size for your item? You can reuse it so long as it’s still strong and hasn’t sustained any damage. All sides of the box are rigid. There are no punctures, tears, or corner damage. Any previous labels or other shipping marks are removed. There are no hazard signs on the box that could cause security issues. Remember: the more you use a box, the more it deteriorates. Don’t re-use old cardboard boxes for shipping without giving them a thorough check. Follow the 2-inch rule: surround each item with at least 2 inches of cushioning and place them at least 2 inches away from the walls of the box. Choose proper packing material designed for shipping, like bubble wrap, inflatable air bags, or packing peanuts. Use only clean, dry packing material. Wrap each item separately so they don’t bump together. Fill the box with enough packing material that the items don’t move when you shake the box. For any items that could be damaged by dirt or moisture, seal them in a plastic bag inside the box. Use durable packing tape at least 2 inches wide. Apply packing tape evenly across all sides, openings, and flaps of the box. Never seal a box with masking tape, Scotch tape/cellophane tape, or duct tape. Do not tie string to the outside of the box, as it could get caught in parcel handling machinery. Do not wrap the box in any kind of paper. Paper can tear during shipping, which could cause the shipping label (and your parcel) to go missing. 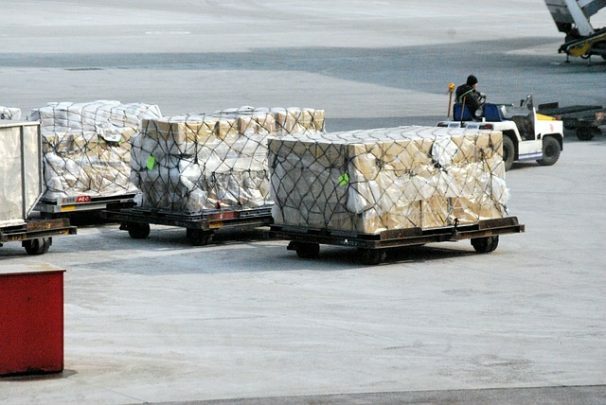 When shipping two or more heavy items at once, it is better to send two or more smaller parcels than a single large one. The bigger and heavier the package, the more likely that someone will drop it during delivery. Take two photos of parcel before you send it: one of your item safely and securely packed inside the box, and another of the sealed box. In a worst-case-scenario, these photos can serve as evidence that it wasn’t your fault the parcel got damaged. For fragile items, add an extra layer of protection by packing the first box inside a larger box, with two inches of cushioning between the two. Finally, make sure the parcel recipient has a plan to ensure it lands in their hands! A parcel left sitting on someone’s doorstep is a magnet for thieves.